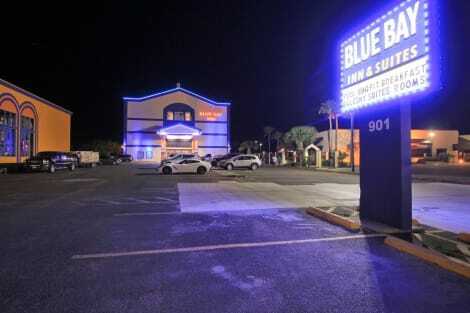 When you stay at Blue Bay Inn & Suites in South Padre Island, you'll be near the bay, within a 5-minute drive of South Padre Island Beach and Schlitterbahn Beach Waterpark. This hotel is 1.4 mi (2.3 km) from Isla Blanca Park and 3.2 mi (5.1 km) from Port Isabel Lighthouse. Take advantage of recreational opportunities offered, including an outdoor pool, a spa tub, and a fitness center. Additional features at this motel include an arcade/game room, a picnic area, and barbecue grills. When you stay at La Quinta Inn & Suites South Padre Island Beach in South Padre Island, you'll be on the beach, a 2-minute drive from South Padre Island Beach and 10 minutes from Schlitterbahn Beach Waterpark. This beach hotel is 0.1 mi (0.1 km) from Sea Turtle Rescue Center and 0.1 mi (0.2 km) from Sea Turtle Inc.
Make yourself at home in one of the 146 air-conditioned rooms featuring refrigerators and microwaves. Your room comes with a Tempur-Pedic bed, and all rooms are furnished with sofa beds. Rooms have private balconies or patios. LCD televisions with cable programming provide entertainment, while complimentary wireless Internet access keeps you connected. Bathrooms have shower/tub combinations and hair dryers. 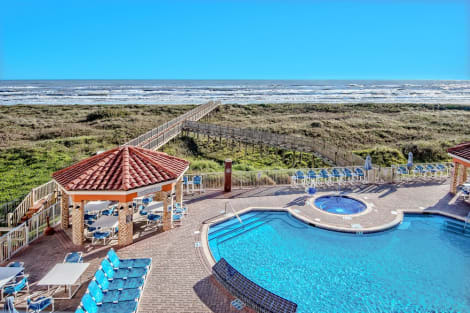 When you stay at this condo in South Padre Island, you'll be near the beach, a 1-minute drive from South Padre Island Beach and 6 minutes from Schlitterbahn Beach Waterpark. 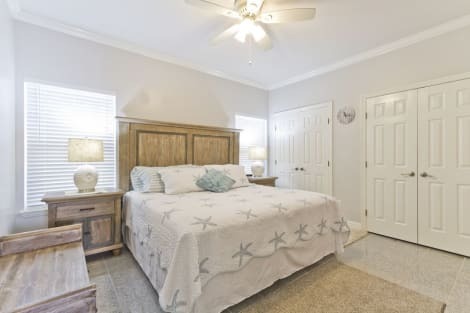 This 4-star condo is 1.9 mi (3.1 km) from Sea Turtle Inc and 2.1 mi (3.3 km) from Sea Turtle Rescue Center. lastminute.com has a fantastic range of hotels in South Padre Island, with everything from cheap hotels to luxurious five star accommodation available. We like to live up to our last minute name so remember you can book any one of our excellent South Padre Island hotels up until midnight and stay the same night.